Rest in Peace our baby girl. Unfortunately, Anasophia passed away on May 23rd, 2006. We will all miss her terribly, and we are so glad that she was able to grace our lives and bring us such joy. We love you Ana.. Always. Thank you for visiting Anasophia's Photo Site! 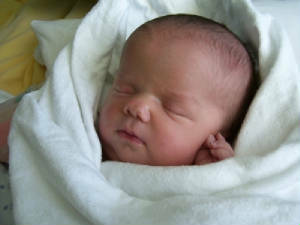 Our beautiful baby girl is so precious to us, and we're thrilled to be able to show her to you! We hope you enjoy the pictures we've compiled on the next page, and we'll keep it as updated as possible!